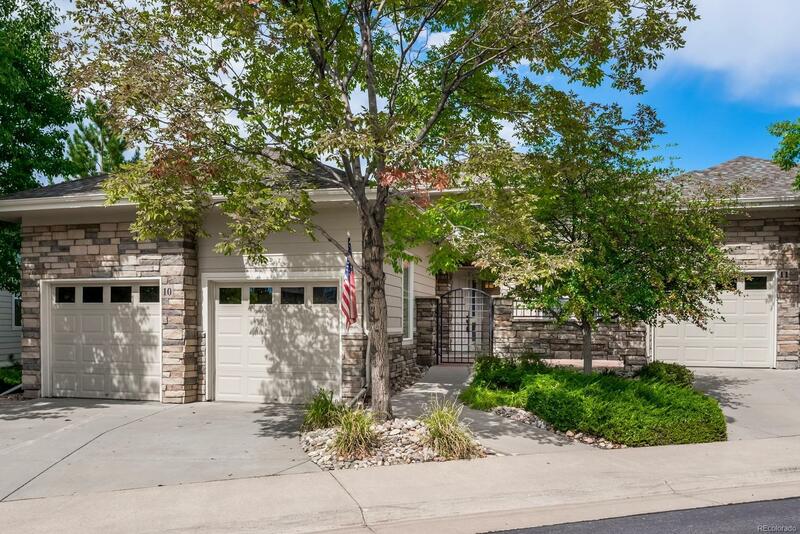 Gorgeous ranch style townhouse with a fully finished walkout basement! These maintenance free units in the Bluffs at Pinehurst, do not become available very often! Terrific open and airy floor plan with high ceilings, tons of natural light and great mountain and golf course views! Attached 2 car garage with mudroom/laundry area near the kitchen! Spectacular outdoor spaces including a large front porch area, walkout patio and spacious deck/balcony area off of the back! You will love the functional kitchen with gorgeous cherry floors and cabinets and a great eating space area that has its own door to the front patio! The large master suite and walk-in closet also has its own exit to the back deck! Large storage area in the basement! Gorgeous plantations shutters throughout! The 2nd bedroom on the main floor would make a great study/den! Prime location near Pinehurst Country Club and close to shopping and great restaurants. Set your showing today!